Educ.ar –the Argentine government educational weblog- has interviewed me to discuss some pedagogical aspects of my FCE Blog. The following is my translation. 1) Could you tell us how you became interested in integrating ICT resources in your classroom? It all started with a question: How could I share with my students of English and my colleagues the things I was discovering and learning on Internet? I definitely do not agree with filling people’s mail inbox with unsolicited mail. It is not productive for someone to lose time searching in his mail, trying to guess where that interesting link I was once sent by my teacher went to. Most English teaching sites with collections of exercises tend to mix levels and target readers. I needed something organised and focused to my First Certificate students. I wanted my students to have some resources available, such as dictionaries, exercises, novels, audio, etc. to practise after the class and why not consult them once the course was over. I thought about how I like surfing the Internet. I like sites which are easy to read with edited links that clearly say why I might like to click on them. And of course, sites that let me choose what I want to read. My students at AACI language school are adults. Most of them work at companies and have very little free time. They sometimes miss lessons because of work commitments. Attending a course and assigning time to practise with exam past papers at home is a big effort. If I had asked them to go back home and read my personal blog after having spent eight hours at the office in front of a screen, it would not have worked. Instead, I offered them the possibility to access -when they wanted- useful material presented in an entertaining manner. It allows them not to lose touch with the course when they must be absent, since there is so much to practise in the blog. They may ask a classmate about their homework through the chat widget. If someone wants more books or grammar, for example, they can personalise the practice according to their needs. That’s different. The blog empowers them to do more. The blog is structured in entries focused on a single topic. They are a collection of notes made by the teacher or a kind of mini digital library. To have all those books on their own shelves would have a prohibitive cost. Students do not tend to go to the library to search for that kind of learning material either. It is usually the teacher who decides what to bring to the classroom. Although it takes a lot of initiative and learning autonomy to study on your own, this blog allows them to make an intermediate step: it’s as if they visited the library with me or as if I went with them to the bookstore to help them choose what to read. From a distance. That is how The FCE Blog was born, which introduces itself as “An afterclass meeting point for all First Certificate in English students”. This motto declares the site an open door to interact with teachers and students from other countries. Since 18 March 2006, the site has been viewed all round the world. 2- How did you and your students get organised? There had already been some talk in class about useful sites. Some of them did not remember where they had written that down. Or they had visited them but forgot to save them to favourites. Then I told them that it would be good to have just one URL to remember to access all those FCE resources I was collecting. And that it would be super if they added what they found in a comment, or leave their opinion about the usefulness of those links, or they could go ahead and suggest what they wanted for their blog. I wrote the URL on the blackboard telling them very clearly that it was not homework. The blog was not going to be read in class. It was simply an invitation to practise and learn a bit more whenever they wanted to. And I let curiosity work its way. 3) What was the process like? What did you need? When students gradually entered the blog in May –some of them only visited towards the end of the course- they found a few entries that included a welcome letter and a manifesto. The letter announced what they could expect from the site in future and the manifesto explained the rules of the game. For example, it is not possible to use mother tongue Spanish or emoticons in my blog. I wanted them to find words to express themselves. Comments in a blog are an opportunity to write outside the strict regulations of the exam written format. Those compositions with an ideal target reader in mind are sometimes the only thing they write in the course, and of course, they do not reflect every real life situation the students will need to actually use the language. Until I created this blog, students had only heard me speak about how to write. They had never seen me practise what I preach. I think students like to see how their teacher writes. One of the key tools for me was the visit counter. I never asked them in class questions such as ‘What do you like most about the blog?’ During the first months the site was invisible to Google and the only ones who had the URL were my students. Little by little those visits became daily. During the two-week winter break they entered the site everyday. That was the moment I felt the blog was working and I started to share it with some colleagues. 4) Do you work on your own or with other teachers? I work on my own in my free time. I have never attended a course to learn about blogging. I read lots of other blogs, not just edublogs and that helped me to shape what I wanted for mine. There is a lot written about blogging in the classroom. To share all that, which would only have created a noise in the FCE Blog, I created another blog to include topics for teachers of English interested in Web 2.0. I do not speak much there. I just organise my links with subtitles and brief comments. It is becoming an informal diary of the things I study. It’s called ELT Notes. Simply my notes. 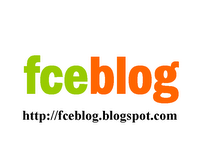 In September 2006, I formally introduced The FCE Blog to my colleagues at AACI. In that presentation, I told them how it all started, about the outcomes and my plans for the future. We also discussed what it means to maintain a blog in terms of time organisation. There were interesting questions that day. Two teachers got inspired and created their own blogs. Totally different projects. We are interlinked through our work. I was contacted by European teachers who also prepare students for the FCE. We met because of the subject in common. Now, by means of links in my blog I can make my students “hear” how another teacher presents the same topics. Then that teacher leaves a comment in my blog, or talks about my blog in his, I answer, and that’s how a kind of dialogue starts. To propose a collaborative project with those teachers today is only at a click’s distance. It is amazing how fast a teacher who blogs answers an email. You may start blogging on your own, but in the long run, a network and an interchange will be generated. That’s the nature of the media. 5) How do students participate in these activities? At the beginning, it was simply reading and a shy comment. Then, at the start of the class someone commented on what he had seen in the blog or what a classmate had written. There were questions about how to make a blog. The students who already knew how helped me explain. One day something really interesting happened. In the middle of a phonetics exercise, a student wanted to comment on what he had read in one of the hyperlinked articles from the blog. He spoke about how a native speaker’s opinion on foreign accent had struck him. Reflection and motivation arose effortlessly. Of course I could have brought the article to class and ask them to reflect over it. But it is not the same. What satisfies me the most about this exploratory stage of blogging is to see what you can achieve by fostering student’s initiative. The blog was never part of my lesson planning or homework. The topics published in the blog did not always coincide with the class topics. We never saw it together in front of the same screen. Today, the FCE Blog has become a fairly complete collection of issues related to the exam. Too many hours and effort to leave it aside the classroom, don’t you think? Besides, the language school has recently opened a machine lab. In my next course I will be able to integrate it to my class easily. 6) Which are the changes that affect the teaching and learning process after the introduction of ICT? My students and I are what we call digital immigrants: we associate the web with a consulting space, downloading or working at the office. Few people think that internet is a lifelong learning platform. The teacher who answers the most number of questions is Google. The introduction of ICT in the classroom must go beyond the use of search engines, printing and emailing. Regardless the subject we teach, we must involve the students in web content production tasks with all the digital literacy acquisition involved in the process. The day a student enters the working world, companies will not pay for training of everything he needs to know. If an employee needs too much help from his peer workers in order to understand every new task, he becomes costly and inefficient. Not everything that counts will be learnt in a classroom. Students need to prepare themselves to handle the tools efficiently. We must understand that the best we can give our students is to help him start continuous learning paths; to see changes as challenge. To depend less and less from a teacher. The blog is simply one more tool. ICT empowers the teacher. Everything becomes more creative and committed. Students sense that dedication. After my blog presentation, there were many comments to congratulate us, flattering stuff, which I appreciate of course. However, I would like people to get into the conversation proposed by this FCE Blog. Will what I write today be worth reading tomorrow? A blog: What for? Can’t it be done in class? What is it that can be done better or more efficiently through a blog or wiki? Let’s imagine the day when all these new tools become everyday things. I can think of a student starting a course and saying: “Oh, another teacher with a blog!” I read somewhere that a teacher may have a weblog and yet not blog at all. The phrase was pointing to a simple online replication of classroom procedures. If I have a blog, but in class I remain the single source of new things for students, the knowledge granter, then, it was no use blogging. To blog –in an ampler sense- is to confront the students with a debate and make them see they will always have something to say. Because, although they may not be experts on the subject, their point of view is unique and it contributes to the conversation of the experts. Teachers who lack the time to design and maintain a website will also have to “blog” in the true sense of the term if they mean to prepare their students for today’s world. The tools are the means; the aim is always to think anew about communication, to reflect over the process and not just the results. To shift the focus from what we teach to think about how we learn. To me, the one-million-dollar question is: In a few years’ time, once my students have forgotten where they left their class notes and suddenly need to consult something or get a bit of practice, will they come back to the blog? Only then, all of this makes sense. This interview is part of a series of tutorial posts in Spanish for newcomers into the edublogosphere organised by Karina Crespo. I would like to thank Francisco Muñoz de la Peña Castrillo for commenting on my work in his Aulablog 21 . Reading Vicky Davis article Creating your Circle of the Wise at Techlearning Blog, I started writing this reflection/comment on her inspiring post. Vicky poses several questions we should all find an answer on our way to learning to read and write online. How to manage and cope with the wealth of information the blogosphere has to offer is a stumbling block for busy teachers who plunge into the middle of endless conversations and perpetual conferences narrated and commented in blogs. Indeed something must be done or learnt about what to do with so much information through our RSS feeds -almost indigestion at times. However, the building of the Circle of the Wise is just an approach to solve the need for new reading skills -or should I say literacy pure and simple. The blogsphere has given us an unprecedented access to people's process of thinking. Ideas in the making are the star. The circles of thought and of the pre-read people sounds to me like doing away with diversity and making sure some Wise mind has filtered a few things for us. Trying to follow the process is always more uncertain, unsettling and messy. Now if we do not learn that, don't we run the risk of replicating closed circles online where a few are heard/read -just as a few get to be published today? The comments in this thread point to the excuses some teachers find to avoid exploring online possibilities. Fear of the unknown is a more powerful constraint than lack of time. And teachers love to know things. I am sure I could persuade a few to start blogging, I could even tell them who to read for inspiration and they might. But we would be missing the point. Teachers should love to learn things. What we need is constant decision makers as to who to read, when and what for. Blogging is perhaps the best media to make the "virus" of lifelong learning spread -beyond selected circles- and deal with the fear of choking with information. So in answer to your question Vicky, I am not creating circles. My aim is not to be like Stephen Will or David -as much as I enjoy reading them. They are already taken so I rather be myself! And there are bloggers who are not always Wise, but have worth reading pieces. Reading the Wise is easy, sifting for great thoughts in a sea of publications is more like the kind of advanced literacy we will need. I will keep on subscribing, yes. Even instinctively at times. As regards time management, I still do not have answers. I am learning all along. As regards posting, I'd rather do so when I have something to say or research. There are enough pages already. Many seem to post to keep readers coming back. In my newly acquired reading habits, if someone writes well, I will see him in my aggregator. These links will introduce you to the topic of RSS and information management.